Join the City of Indianapolis Office of Sustainability and the IUPUI Office of Sustainability for the second annual Indianapolis Sustainability Summit. 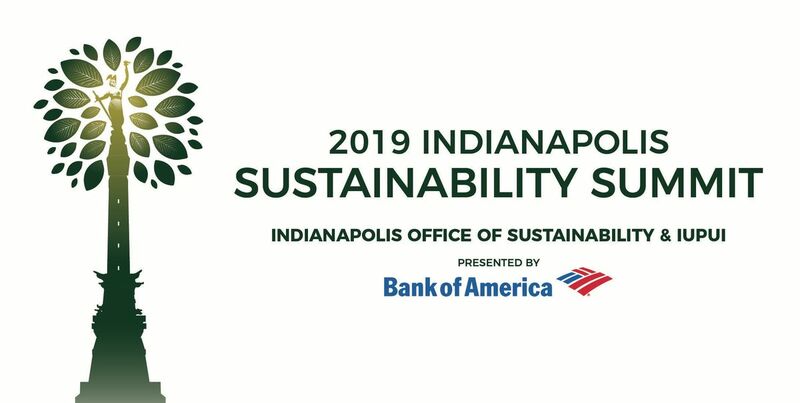 The 2019 Indianapolis Sustainability Summit will bring together hundreds of leaders from across Indianapolis’ business, nonprofit, and civic community to develop a roadmap for meeting our city’s sustainability goals. The 2018 Summit gathered a broad range of input, creating a vision for what a sustainable Indianapolis means to our residents. Those insights helped craft the goals and actions in Thrive Indianapolis, our city’s first sustainability and resilience action plan. With Thrive Indianapolis nearly finalized, the work of implementation has only just begun. 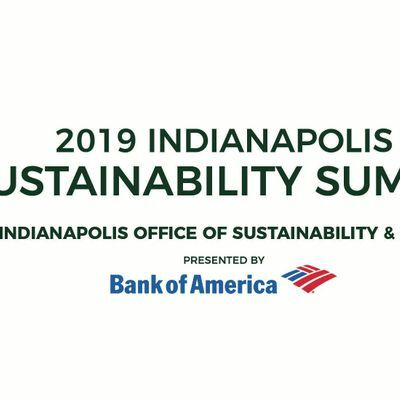 The 2019 Indianapolis Sustainability Summit is designed to start a discussion around the role each of us plays in meeting our climate goals, whether that be reducing greenhouse gas emissions or diverting waste. Attendees will be asked to reflect upon their own capacity to contribute, with the most ambitious committing to continuing the conversation with us over the course of the coming year. Each of the 16 workshops will be centered around the participants, not the experts. Unlike panel discussions, these workshops will be interactive and engaging, offering attendees an opportunity to share their unique insight and perspective on each topic. Every subject will be viewed through an equity lens, thoughtfully ensuring that impacts on typically underrepresented populations are a central part of all discussions. The Indianapolis Sustainability Awards are designed to inspire innovation, showcase impact, reward leadership, and promote education around the principles of sustainability. Five awards will be handed out, four to highlight transformative work by a business, institution, nonprofit, and individual that integrates the three pillars of sustainability into their work, and one to highlight the individual, organization, or business that undertook an exceptional effort to improve local air quality (The Knozone Clean Air Award). Any organization or individual is encouraged to submit a nomination (self-nominations welcome). Applications are due by 11:59 pm on Friday, March 1st, 2019. The application form can be found by clicking here. Finalists for each category will be notified prior to the event. Award recipients will be honored at the Indianapolis Sustainability Summit Luncheon on Wednesday, April 17th, 2019. In an effort to make the event accessible for all, a number of scholarships are available and can be applied for here. For sponsorship opportunities, see here.